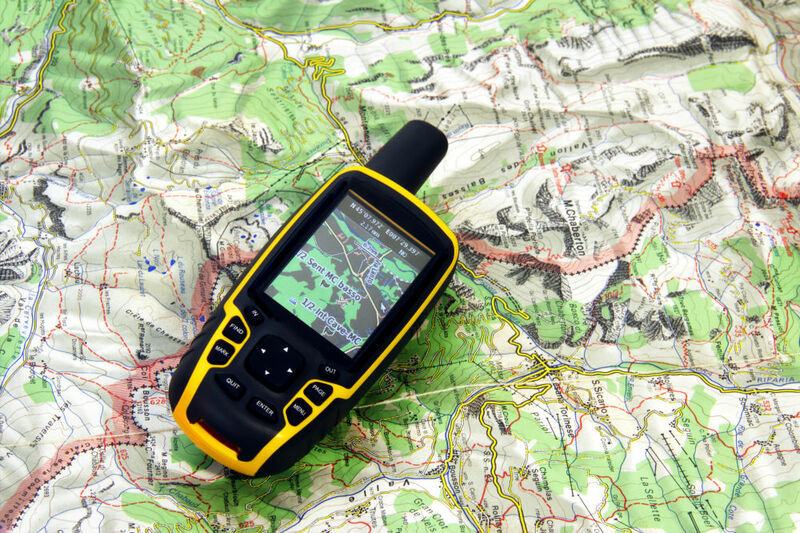 Is there a difference between GPS and GPS waypoints? What is GPS waypoints exactly? These terms can be so technical that our minds will just want to shut off. We all know that GPS is used for navigation, but is there really more to it? For us to properly use a GPS, half of the work actually comes from a bigger understanding of how it works. That is where GPS waypoints come in. Do you know that your routes cannot be calculated without these waypoints? Read on to find out more information about this piece of technology that we tend to take for granted. You might just get surprised at how accurate it works. In light of us trying to determine what is GPS waypoints, we first have to know what GPS means. GPS or Global Positioning System is a radio-navigation network that is based in space. It can provide information about time and geolocation to any receiver of GPS on earth. Simply put, GPS is the system you use to navigate your way, to go to a specific location. So when we talk about a GPS device, the device per se, is not responsible for the mapping out of your location. Instead, GPS is the technology used in such a device. Believe it or not, the whole system works by use of satellites that are in space. At a given time, there are about three to four satellites that are in the range of your current location. The satellites and your GPS receiver work together, to help you with directions. Once the satellites receive a signal from your receiver, they do a process called trilateration. This happens when the three or four satellites that are within your location will pinpoint exactly where you are. Further, this process becomes accurate as one satellite may be at your east, the other on your west, etc. After the triangulation is deemed successful, then the satellites now have your position and can process information to where you want to go by means of waypoints. As you can see, GPS is not like Google Maps. It is not something where you can just save countless maps and routes. Certainly, it is a system for navigation in real time. The simplest way to define what a GPS waypoint is that they are landmarks. These are the places that are well-known enough to be recognized by the satellites that are currently helping you reach your destination. Waypoints are generally confused with pinpoints. What are their differences? Waypoints can be different streets, establishments, pedestrian lanes, etc. that help the satellites target your final destination. Pinpoints, on the other hand, are the specific locations of where you came from or where you started your trip, and where you want to go. Numerically speaking, waypoints can be two to even 100 points in the map, while pinpoints will always just be two points in your GPS interface. These waypoints are what make it possible for the satellite to know, and in turn, dictate the way to go. You can think of these waypoints as checkpoints. While you are driving, and you are using GPS, once you pass a waypoint, that is the only time that the satellites will predict the next move. It is really surprising to note, that the GPS does not really work based on the known routes. In fact, the routes are made by way of passing several waypoints. Usually, a route is made by using one or two waypoints. Do you know how applications like Waze determine the shortest route? Yes, it is still with the use of waypoints. What happens is, the GPS receivers have the capacity to calculate several waypoints that will ultimately form a circular route, which will then be compared to the waypoints near your final location. In the process, your GPS device will detect the shortest route. As you can see, GPS waypoints are the bulk of your navigation. In turn, your GPS receiver has dedicated memory for waypoints alone. Once you input your pinpoints, the user area memory of your GPS device will now start looking for waypoints. Generally, they can store from 1,000 to 2,000 points. As we have said earlier, GPS waypoints can be streets, places, establishments, even a statue. With this in mind, new releases of GPS devices now give the option of customizing a specific waypoint. The user can now categorize them as schools, malls, gasoline stations, restaurants, etc. Customizing your waypoints not only makes your navigation organized, but it also helps the GPS to properly give out directions. Defining a specific waypoint can help the satellites get information on your surrounding area. This paves the way for various warnings like, if there are no overtaking in that area, if you are approaching an intersection, if you have to slow down since you are in a school zone, etc. The only reason why commercial airplanes are not being shot down is by way of GPS. Yes, one of the reasons why you are alive right now is due to this technology. Unfortunately, before this technology was made available to the public, Korean Airlines Flight 007 was shot down by the Soviet Union. This incident killed all of the passengers and crew, just because the plane wrongly entered the prohibited airspace. Why? No GPS. Today, GPS is as normal as eating. However, we fail to realize that the signals that our phones and cars send out to the 31 orbiting satellites are also being recorded. The signals are two-way. Therefore the people in satellite stations know exactly where we are. It only takes one crazy astronaut to shoot us with a laser beam. We have discussed that proper navigation is only made possible by GPS waypoints. However, we tend to forget that this type of technology can also be a means of invading our privacy. Honestly, we cannot do anything about it but just hope that the holders of this sensitive information will do the right thing. At the same time, we should also put up our own safeguards, just to be on the safe side.